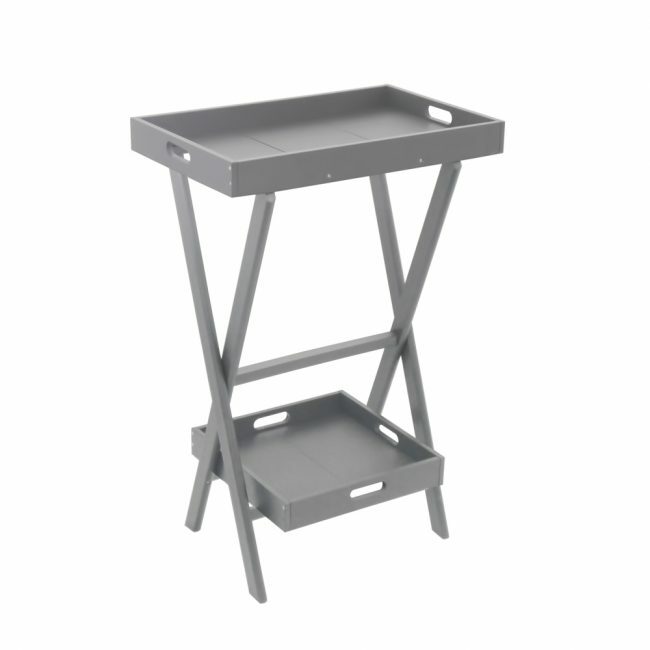 This versatile, indoor/outdoor, coordinating collection is comprised of a tall folding stand and a two-tier serving station. This three-piece set is designed with portability in mind, since both trays can be used individually or paired with the matching stand. The material is durable, fade resistant, and has solid color throughout.